Lawrence Charles started his career as a model for Tommy Hilfiger in New York. While living, studying, and working in New York, he fell in love with tea. He saw the demand for teas. According to Charles, he noticed tea had the uncanny ability to calm a 24/7 city so he decided to turn his passion into a business and relocated to Los Angeles. In 2014, Charles & Company was born. At first, he experimented with multiple teas and eventually learned tea blending. From creating his own teas, designing his own packaging, buying airtight bags, printing labels from Office Depot to selling door-to-door on his mountain bike, all his efforts paid off when he was able to build a client base in the span of six months. Chefs took notice of his product and customers would search for him. He then got invited to serve at special dinners, private events, farm dinners, and James Beard Foundation dinners. He also has international reach, having served members of the British Royal family. Along with his successful journey on his tea business, he has served and donated to charities namely Teen Cancer America, Child Development Institute, Safety Harbor Kids, and Women’s Health Conferences. Aside from his passion for tea, Lawrence is an advocate of the health and social benefits of tea, specifically its capacity for supporting women’s health. With his continuous success in the business, he is now providing tea for a Four Seasons Hotel. This Kiva loan will enable him to increase his production to be able to provide tea to more branches of the Four Seasons Hotel and other boutique hotels. He also seeks to improve his product packaging for retail and wholesale customers and implement SEO marketing to reach more clientele. He will also use part of the loan toward the initial phase of microbial testing for commercialization of his bottled iced tea line. Currently, Lawrence has been funded for more than 25% of his requested $10,000 loan. He has been endorsed by VEDC, a Kiva Trustee. VEDC is a non-profit organization that offers technical and financing assistance to small businesses. You can help Lawrence meet his goal. Make a loan and LISC will match it 100%! 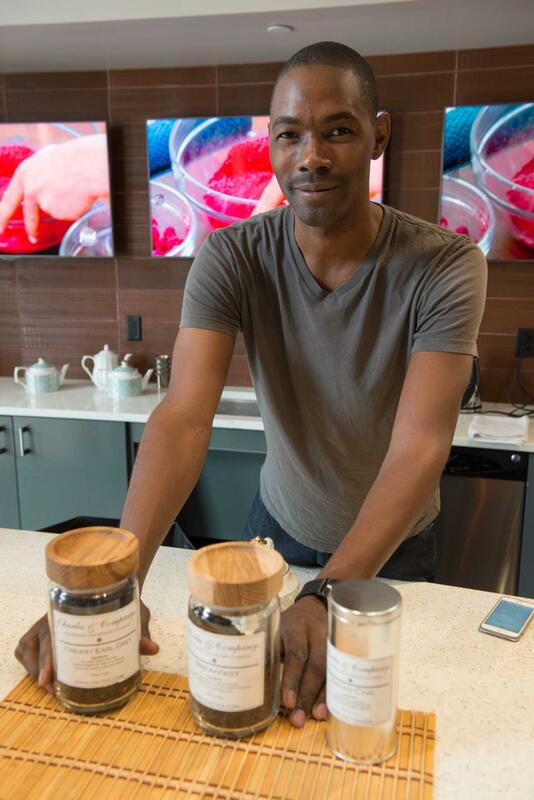 You can help small businesses like Lawrence’s tea company get financing. Apply to be a trustee. Trustees can be individuals or organizations, and their role is to vouch for the character and credibility of the small business owners they are endorsing on the Kiva website. LISC offers matching funds and technical support for borrowers who are endorsed by our Kiva Trustees. If you’re interested in a loan for your small business or want to become a trustee and help small businesses in your area get a loan, contact Miranda Rodriguez at MRodriguez@lisc.org.